Highmark First Night Pittsburgh. 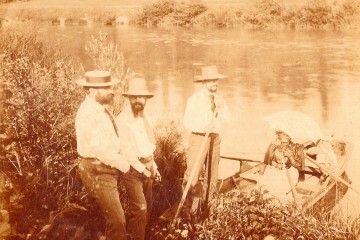 Photo courtesy of Pittsburgh Cultural Trust. Photo courtesy Steel City Con. If the thought of meeting “Twin Peaks” Sherilyn Fenn, “Jaws” star Richard Dreyfuss, and award-winning actor John Cusack — as well as cast members from films and TV shows like “Harry Potter,” “The Walking Dead” and “Back to the Future” — appeals to you, then don’t miss Steel City Con. 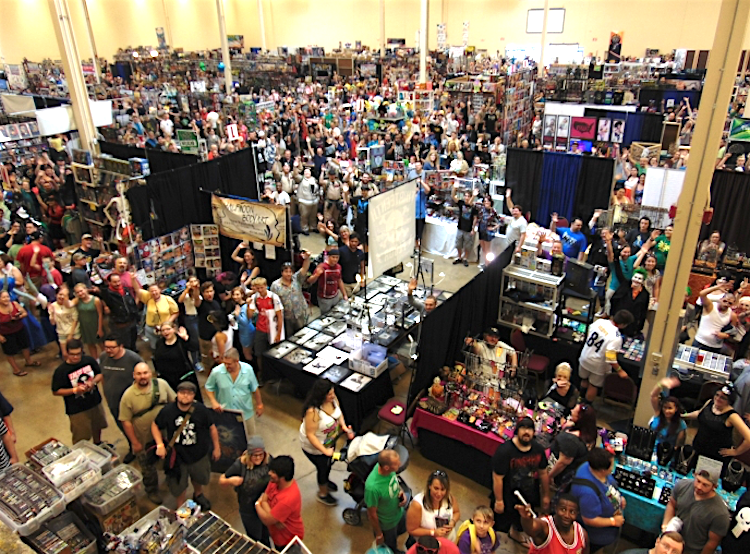 One of the country’s largest comic conventions, the event features 100,000 square feet packed with 750 vendor tables, an artist alley, celebrity events and more. Meet television and film stars — including actors from “Star Wars,” “The Incredible Hulk” and “A Christmas Story” — and ask them your burning questions during Q&As, panel discussions, meet-and-greets, and photo opportunities. Dress the part for cosplay sessions and costume contests, and get all of your fandom needs at the Steel City Con booth. The convention will also showcase talented portraitists, pin-up artists, prop builders and representatives from the Comic Book Grading Company. Buy tickets. 7. Highland Park Pottery Tour: December 9 & 10, 11 a.m. to 5 p.m. When it comes to neighborhood attractions, Highland Park has established itself as a mecca for fabulous handmade pottery. The seventh annual installment of this festive tour will showcase 24 ceramic artists who will swing open the doors to their homes and studios welcoming the public. Bundle up, pick up your “passport” and head out on a free self-guided trek throughout the scenic community. 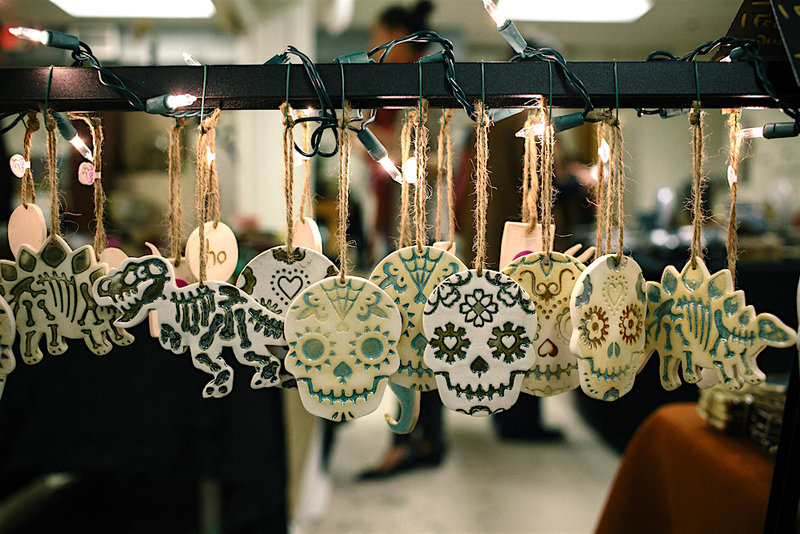 Get a behind-the-scenes look at the creative practice of local potters, and finish your holiday shopping with this unique opportunity to directly support Pittsburgh artists. Peruse work representing a wide range of styles, firing techniques and prices — from beer steins to piggy banks, dinosaur mugs and ornaments. Enjoy free refreshments as you warm up and meet the makers. Five tour stops are the homes of potters who are teaming up with guest artists. The sixth stop is Union Project, which will display work from its in-house ceramics cooperative. Featured artists include Keith Hershberger, Jenna Vanden Brink, Stephanie Flom and more. View a map. Courtesy Carnegie Museum of Art. 8. 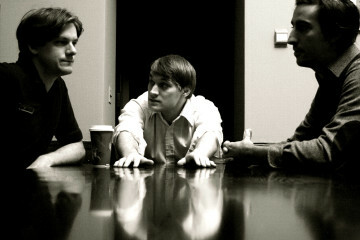 Third Thursday: Art Wars at Carnegie Museum of Art: December 21, 8 to 11 p.m. Counting the days until the long-awaited release of “Star Wars: The Last Jedi” on December 15? The force will be with you when Carnegie Museum of Art (CMOA) transforms its final Third Thursday of 2017 into a galaxy far, far away. Launch into 2018 — and the next chapter of Star Wars — during an interplanetary art and dance party. Will you choose the light or dark side of the force? Learn to be a Jedi and Sith master with stage fight choreographer Tonya Lynn and join Star Wars-themed gallery tours. See “REkOGNIZE,” a video installation by “Solo” film cinematographer Bradford Young and participate in galactic drawing activities inside Carnegie Science Center’s mobile planetarium. Don your best intergalactic gear (think Luke and Leia), snap a selfie with some Storm Troopers and sip space-age cocktails inside an alien-themed cantina. The event will also feature cosmic sounds with DJ KMFD and ticket giveaways for “The Last Jedi” at Carnegie Science Center’s new Rangos Giant Cinema. Buy tickets. 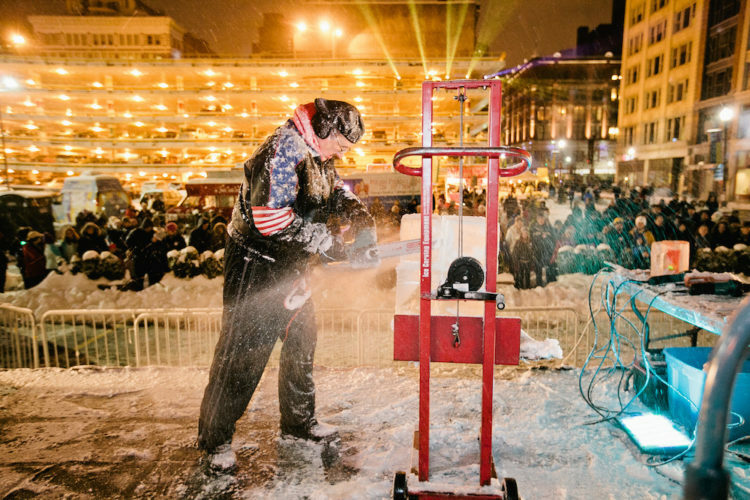 For its 24th annual edition, Highmark First Night Pittsburgh will activate the 14-block Cultural District with 100 events at 30 venues. 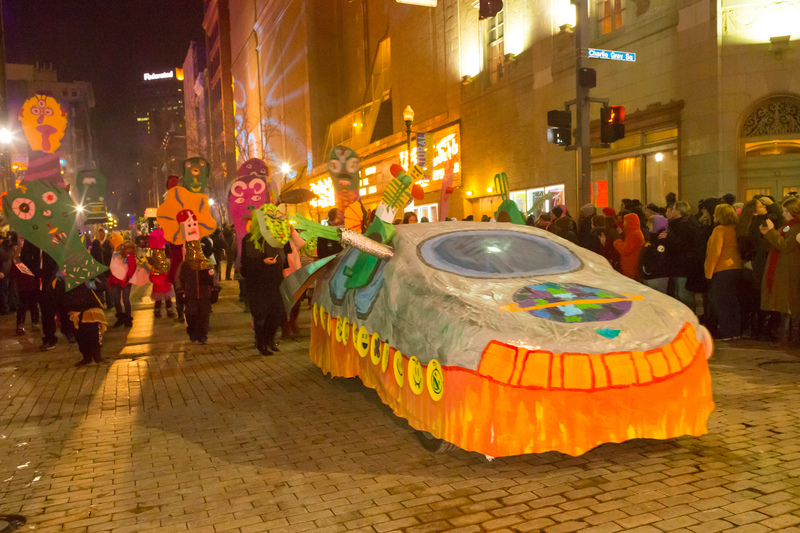 The arts-focused festivities ramp up at 8 p.m. with the signature First Night Parade. Enjoy music, dance, comedy and theater performances, and check out live entertainment at Fire and Ice Plaza and The Dollar Bank Stage. Head to the Highmark Stage to catch the headliners Lee Fields and the Expressions, and take the kiddos to the hands-on Family Tent. The revelry culminates with the dazzling “Future of Pittsburgh Grand Finale,” which includes a countdown to midnight, raising of the 1,000-pound ball above Penn Avenue Place, and a spectacular Zambelli fireworks display. Approximately 90 percent of all events are indoors, so you’ve got no excuse to hibernate. Hop on the T or bus before or after making the party rounds — or make an entire evening of it. Buy a First Night button and check NEXTpittsburgh’s events section for more details. One of the most idyllic places to experience an extra dose of holiday magic is the Frick. Bursting with vibrant poinsettias, fresh pine and traditional Christmas trees, the historic site exudes a captivating charm on crisp December nights. It’s the perfect place to take out-of-town visitors, discover Victorian Christmas traditions and make new memories. 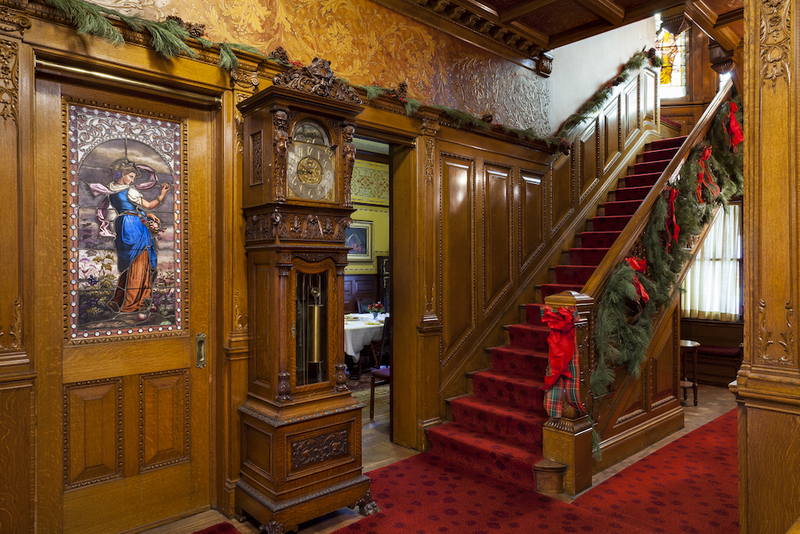 Make it a Gilded Age holiday with tours, films, presentations, dinners and workshops. Experience the fabulous new exhibition, “Undressed: A History of Fashion in Underwear,” and enjoy extended Friday night hours. Create elegant holiday arrangements and DIY fashions, watch the 1957 musical, “Silk Stockings” and enjoy performances by the Holiday Harmonies Christmas Carolers, Bodiography Contemporary Ballet, Langston Kelly Human DJ and body painter Courtney Lynn Czarniak. Find out what the holidays were like for the domestic staff who kept the Frick household running during the new tour, “Through the Back Door: Domestic Service at Clayton During the Holidays.” Wander through the grand mansion as you hear stories about the family’s elaborate lifestyle and explore the duties of butler Joseph Holroyd, chef Spencer Ford and lady’s maid Pauline Turon. Go behind-the-scenes to see artifacts like payroll records, shopping lists and period photographs. View a schedule. For kids’ events, check out 10 great family adventures in Pittsburgh this December.